When random travel got too lonely, a friend recommended the Renaissance Festival circuit. Stoakes was “the bad guy in a sword fighting show” for seven years. He burned out on performing, so he and his girlfriend moved to Florida, because they wanted to learn to sail and scuba dive. “We realized we were poorly positioned to do expensive hobbies,” Stoakes said. He went back to school and became certified as a boat mechanic. After a year and a half, he became a snorkel instructor and tour guide, leading dolphin and mangrove tours. “The Nebraska boy found the saltwater in his blood,” Stoakes said. Altogether, he spent seven years in Key West. Stoakes has accepted the fact that he’ll probably keep job hopping. “I definitely feel as though I’ve pursued a job that was going to be what I always liked. Then doing it for a while took away the sparkle,” he said. The worst fit is “anything that’s high pressure.” He got through training as a telemarketer, but quit after the first day. Carpet and air duct cleaning was also “not fun,” he said. He was uncomfortable with the required upselling and with the chemicals he had to use. In every job, Stoakes said, he’s looked for ways to expand his horizons. “Even if it’s not a job I’ve sought, I’ve sought to take all opportunities,” he said. 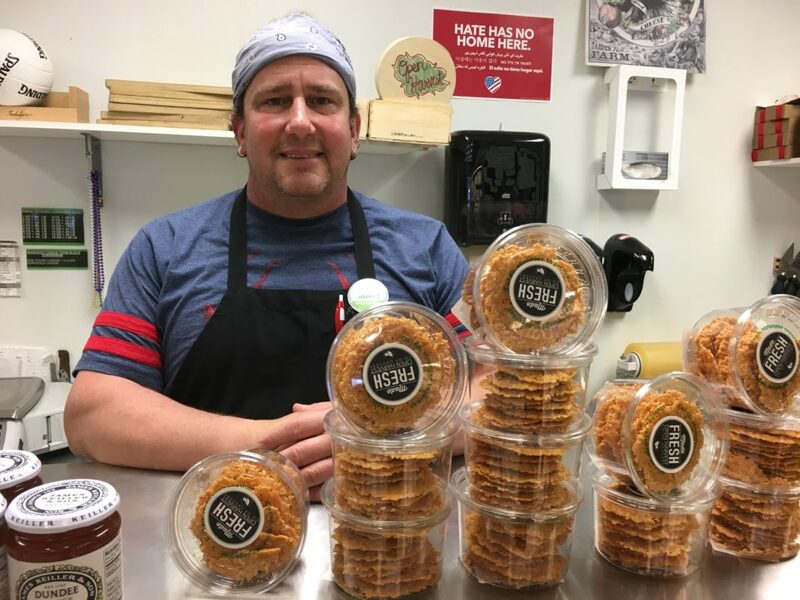 In his current role as cheese coordinator at Open Harvest Co-op Grocery in Lincoln, NE, Stoakes loves the people and gets to use his skills at a presenter during beer-and-cheese evenings co-sponsored with Zipline Brewing Company. He’s getting back into the administrative tasks, somewhat gingerly. As someone who is comfortable with job hopping, how does Stoakes know when it’s time to change careers? Stoakes admits, “I don’t yet know how to be insightful enough before something has played itself out. You don’t know until after you’ve been dissatisfied for a while. Check in with yourself, with the people around you. Sometimes they see more than you do.” He quotes the Indigo Girls’ song “Watershed”: Every five years or so I look back on my life. And I have a good laugh.